Anatomically speaking, the groins are the folds that mark the meeting of the lower abdomen and the inner thigh. In Iyengar yoga, those would be the inner groins. 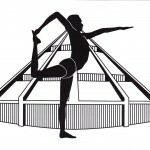 Iyengar yoga also identifies middle groins, outer groins and back groins, making a circle of awareness all around the meeting place between legs and torso. Lately I’ve been somewhat obsessed with groins, nagged by an intuition that if I could just understand better, go a little deeper, then I could unlock some new freedom in my body. This region is of great importance for humans because its full extension creates the upright posture unique to our species. In a sense, when we are not balanced and stable through the groins in the upright posture, we are not fully human. 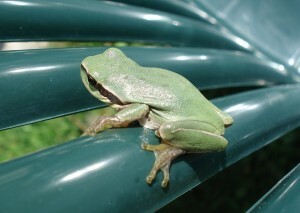 Kilmurray suggests that for freedom in the groins we learn to sit like a frog – squatting, that is. If you have difficulty squatting, it can be useful to gain more awareness of your groins before you start. Hence this week’s Five-Minute Yoga Challenge: a version of Supta Padangusthasana (lying down big toe pose) with a strap at the hip crease. This pose works to stretch your hamstrings and open your hip joints. Together that spells better mobility and an easier walking stride. Using a strap leaves a memory in your body that will linger as you move into other poses. And if you feel more fully human trying it, well, that’s all to the good, isn’t it? Start by tying a loop in your long strap. Then, standing up, put your foot on one end of the loop and bring the other end to the top of your outer hip on the same side. Two things I'd change about this picture: keep the leg at 90 degrees, not higher. And keep the strap at the place where your heel meets the sole of your foot. Now lie on your back. If you can, be close enough to a wall that your feet press strongly into the wall when your legs are straight. Support the back of your head with a blanket, or towel, if needed, to relax your neck and shoulders. Take the loop around your left foot and your right hip crease. The strap will be slightly too long. As you tighten it, bring the buckle toward the large muscle at the outer hip. Make sure that the strap is firmly in your hip crease, and not around the top of your right thigh muscle. Make it snug. With your left leg straight, draw your right knee toward your chest. If the strap is tight enough, you will feel it eating into your hip crease. If it’s too tight, you won’t be able to draw your knee in; if it’s too loose, you won’t feel much of anything. On an exhalation, release the hip crease away from the strap, deeper into your body. Your lower back on the right side will feel longer, and your right buttock will draw towards the wall. Relax your face, relax your eyes. Hold for six to 10 breaths. Now take the second strap around your right foot. Straighten your right leg. Start at a 45-degree angle. Press your right big toe away from you. Pull your right front thigh down toward your hip crease. Push your right thighbone from the front (quadriceps) side to the back (hamstrings) side. Now press the big toe of your lower leg into the wall. Pull your front thigh muscle toward your hip crease, and press the lower leg’s thighbone to the floor. Slowly draw your right foot toward you. Bring your right leg to 90 degrees. With every exhalation, sink your right hip crease away from the strap. Relax your face and eyes. Hold for six to 10 long slow breaths. Release the strap. Repeat to the left side. When you’ve worked both sides, draw your knees in toward your chest. Feel the hip creases sink as you exhale. If you only have five minutes, stay two minutes on each side. Then, over the next few hours, notice the sensations in your hip creases. If you have time for a longer practice, come into child’s pose, working your hip creases back toward your heels. Then keeping your awareness in your hip crease, come into downward dog, and then Uttanasana (forward bend). In each pose, take the middle groins deeper into your body; roll the inner groins towards each other, and the outer groins toward the wall behind you. If your hamstring stretch is too intense, back off and take your raised leg lower. If you can’t relax your face and shoulders, try more height under the back of your head. Frog image courtesy of Sancho McCann. That’s an interesting question. Off the top of my head, I think it would be useful to spend some time in Apanasana and pavana muktasana, (on back, either one or both knees to chest) and also the wall-supported version where you go from straight legs (in legs up the wall) to drawing your knees toward your chest. Either at the wall or not, notice the moment when the groins start to feel tight, and see if you can pause there and find a release. It will be easier if your feet are supported on the wall. 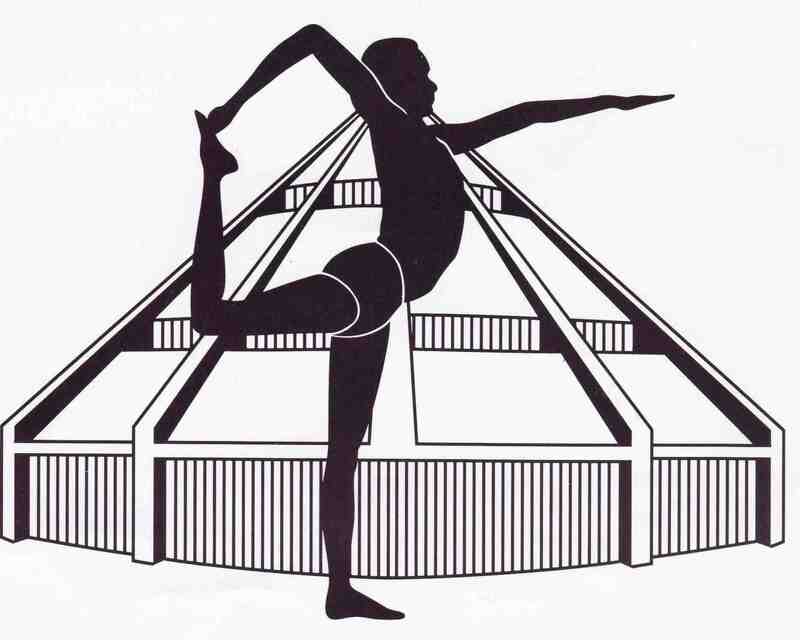 Malasana is another related pose that would be worth practicing. Apart from hip flexors, there are also the muscles of the outer hip to think of. The most immediate solution is to use a brick under your forehead. Start from sitting up, connect your buttocks to your heels, and keep the connection as you come down. When you start to lose the connection, put the brick under your head. I’ve always been curious about this particular assist. Thank you for such clear instructions and illustrating with your photos. Regards! My favourite… What would I do with out this pose…?! 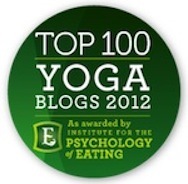 Next post: When it comes to yoga practice, how much is enough?